So, we left Lake George after our very short visit to head back to Newark for our flight to the UK. Lake George is a real tourist area but very nice. 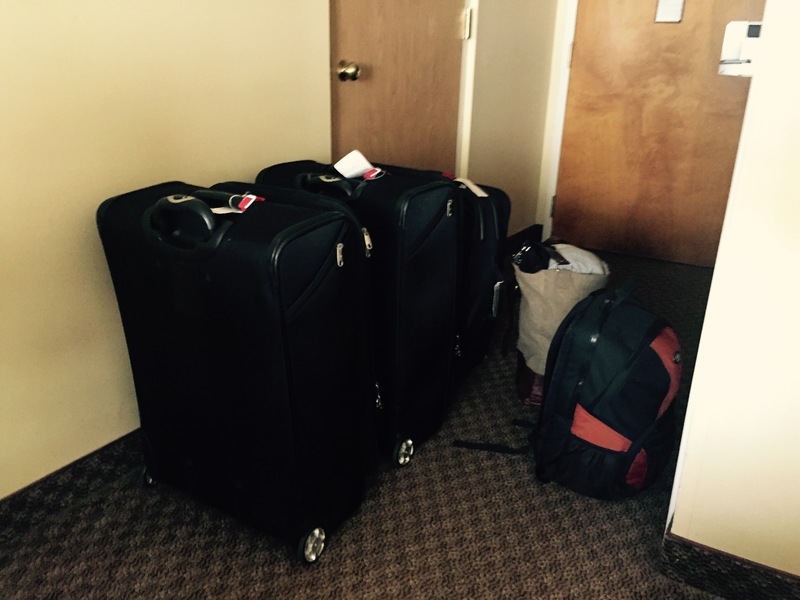 We had re-weighed our suitcases before we left Dot and JB’s just to make sure, but they seemed okay. Before we left we stopped off to see Prospect Mountain at Lake George. 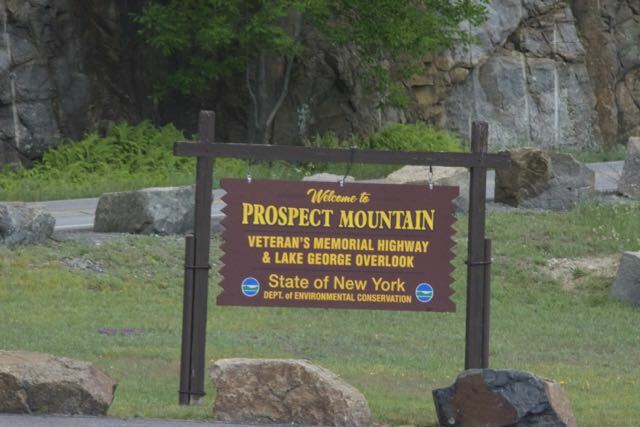 Prospect Mountain is one of Lake George Region’s iconic landmarks. 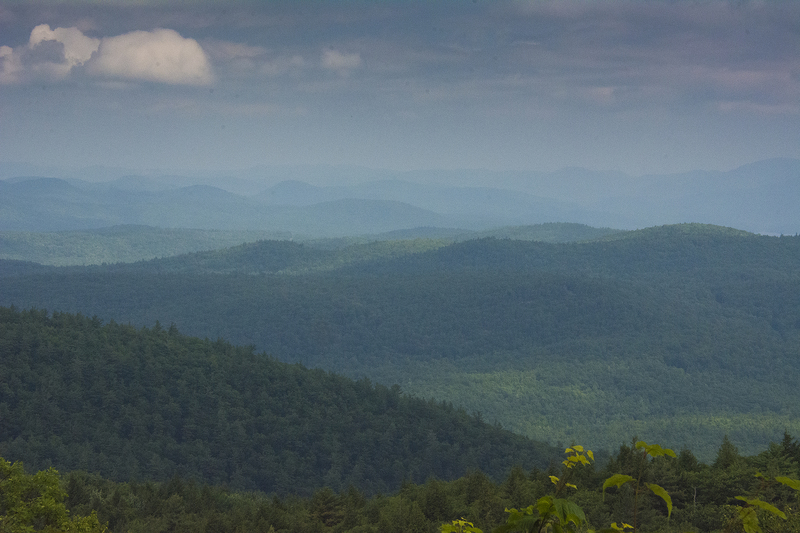 This beautiful mountain, located in the foothills of the Adirondacks, has a 2030 foot summit with magnificent panoramic views of Lake George and Adirondack Region. 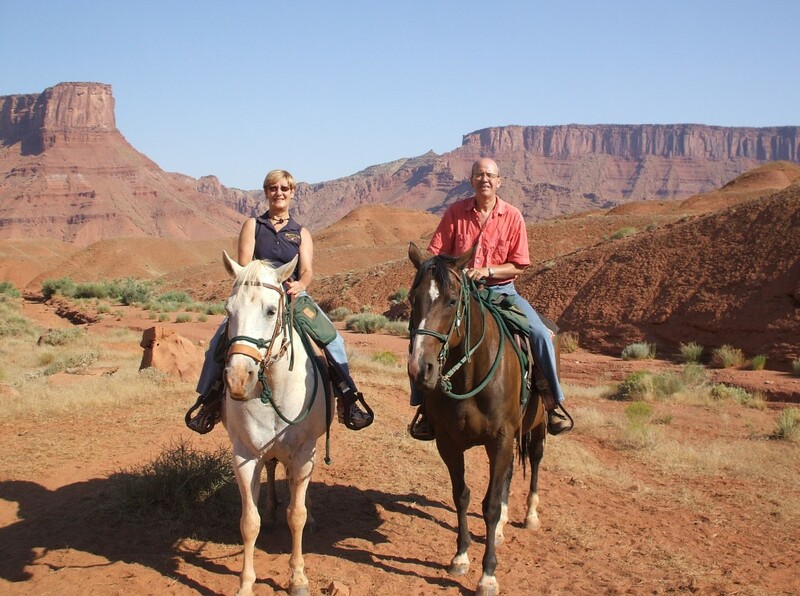 It is very popular among tourists, locals, and hikers because of its 100 mile view at the peak, and anyone can either hike or drive up to the top. 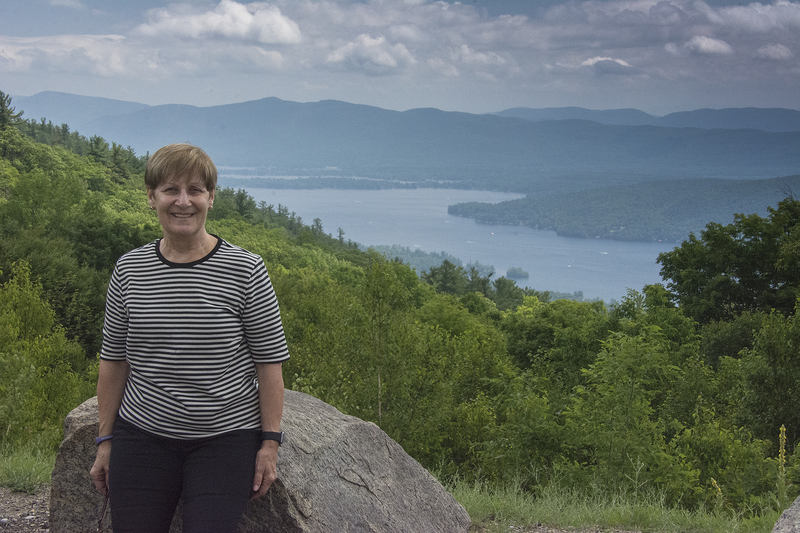 The views are so spectacular and breathtaking, one must not leave Lake George before going to Prospect Mountain… it’s so unbelievably amazing! 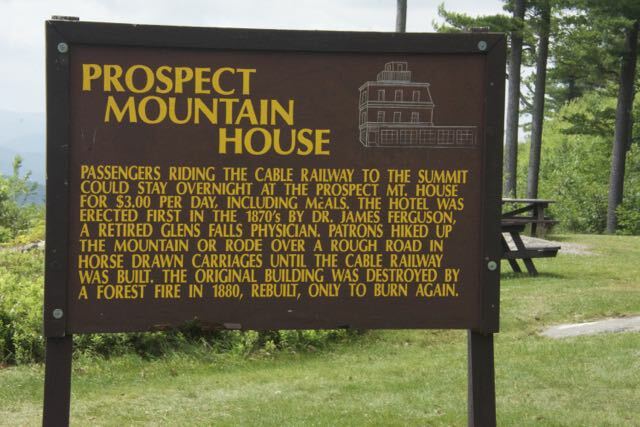 Prospect Mountain originally had to use an incline railway car to access the house at the top where people could dance and eat. 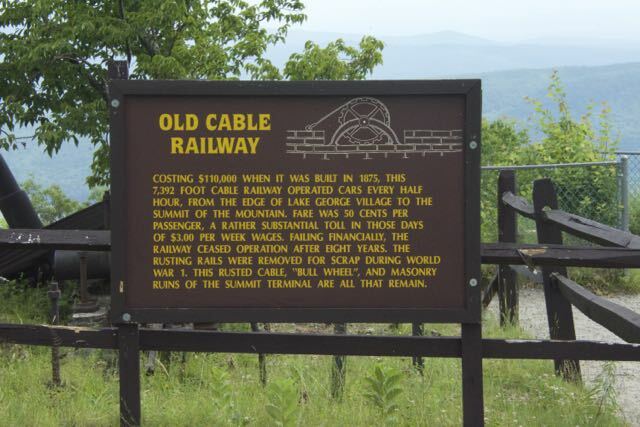 Construction on the railway began in January 1895 and cost $120,000 total. Construction was finished six months later, with the railway opening on June 15, 1895. After failing financially, the railway system ceased operation in 1903. The area was bought and soon donated to the State of New York. 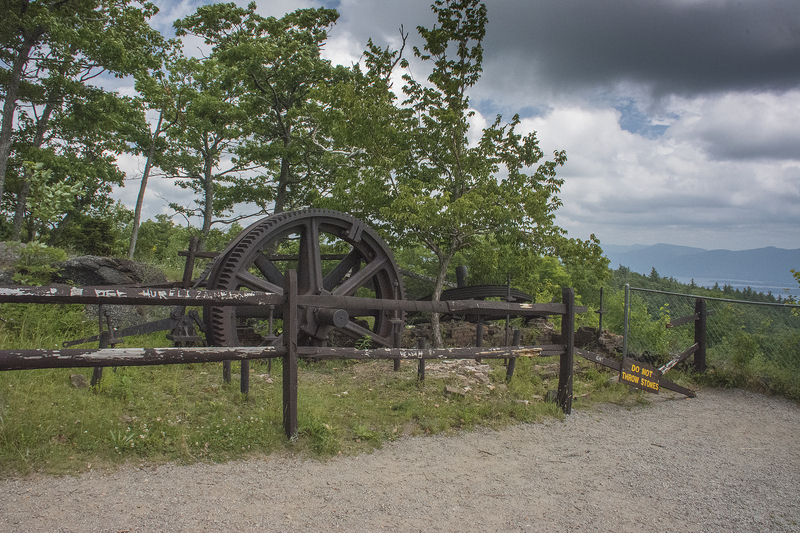 In 1932, the building at the top of the mountain burned down and was replaced by a steel fire tower. For 30 years, people studied what to do with the land, which was owned by the state, and in 1954, New York Governor Tom Dewey signed legislation to build a highway up the mountain. Twelve years later, in 1966, then-Governor Nelson Rockefeller made funds available for the highway. 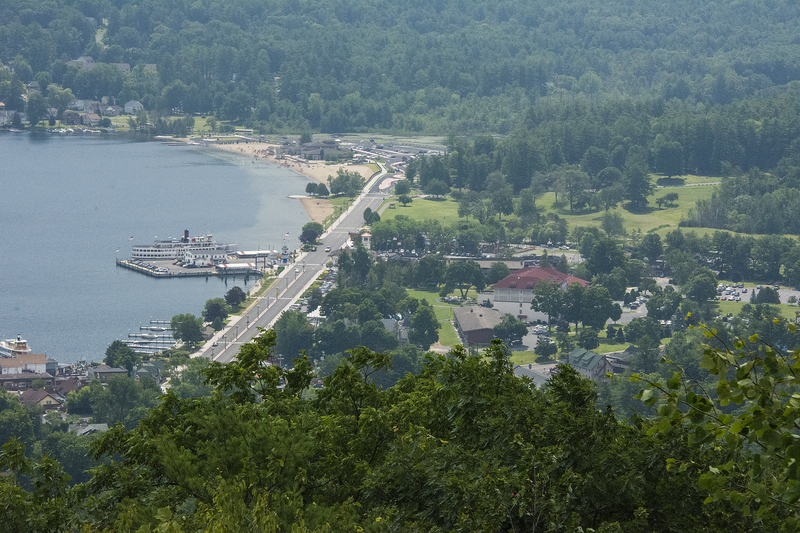 The Prospect Mountain Veterans Memorial Highway was opened in 1969, dedicated to war veterans and providing access to the 2,021-foot (616 m) summit with a 100-mile (160 km) view at its peak. 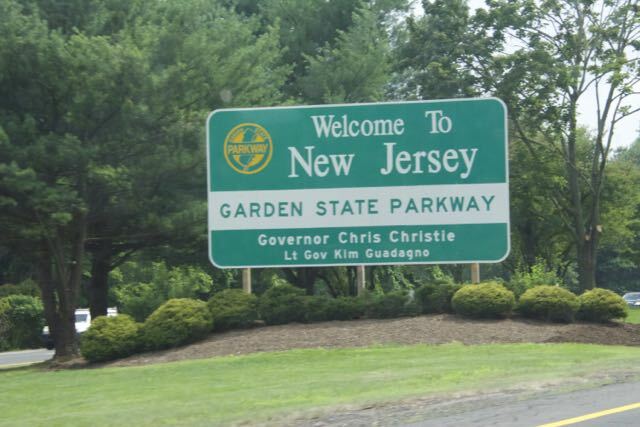 The drive to Newark was a short one for a change, about four hours and as our flight was not taking off until 10.30 pm we decided to have lunch (eating again!) along the way. We found one of the places we like to eat at, Cracker Barrel, it’s a country restaurant and store, they sell lots of interesting things, including rocking chairs. Whenever we eat at one it’s always packed full of the ‘older’ generation. The meals are great and a good price too. I had the most gorgeous Apple Cider Chicken. The sauce was so lovely I’m going to try and replicate it! Si had chicken fried chicken, yes that’s what it’s called. We were then back on the road. It was an uneventful trip most of the way ……….. until I saw a man bent over the bonnet of a Police car being handcuffed!! 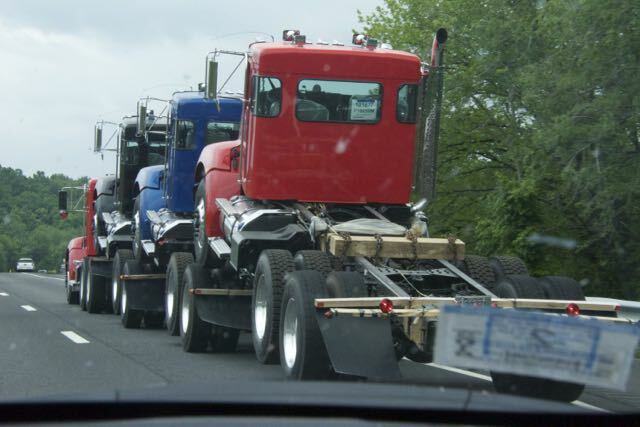 Oh, plus these lorries being transported, all on the back of each other! I must make one final mention of Margaret (sat nav). She was doing beautifully, until we were just a short distance from Newark when she suddenly went to sleep. Whoosh, she was gone, black screen, just what you need when you are in loads of traffic. She re-booted eventually and we made it to the Hertz return facility. It’s probably best not to say too much about what happened at the Hertz facility!! All I’ll say is that we were fortunate to catch the flight back to the UK!!!!!!!!! Fly well. But as it’s now Wednesday I guess you have already landed. Like we said it seems to have gone really, really quickly. But looks like you had a great trip and thanks so much for sharing it with us. Hi Malcolm, yes we are at home. We had a wonderful time. I’m just typing the last post. Thanks for travelling with us and for all you comments. So, what did happen at the end? You cannot leave us all wondering !!! Will tell you when we see you! Hi Ann, won’t be back at the gym until Monday! Lots of unpacking to do.